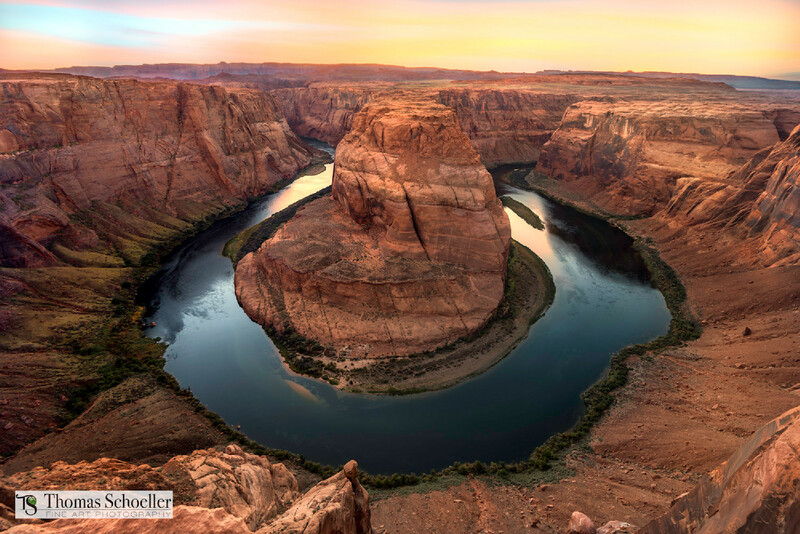 The iconic northern Arizona scenic landscape, where the powerful Colorado River forms one of it's most spectacular bends just outside of Grand Canyon country. Viewing this dramatic scene up close, and in person is rather impressive. The drop off is sudden and steep. The overlook from the rim sits at an even 4,200' above sea-level, and the Colorado River is at 3,200' making it a sheer 1,000' drop. No guardrails exist, making it a bit unnerving even for a landscape photographer like myself. This very colorful canyon scene is available in all of my 3:2 aspect ratio print sizes.